The first speaker for 2018’s Dillon Johnston Writers Reading Series will be poet Jerome Rothenberg, who will give a reading of his work at 6 p.m. in the Charlotte and Philip Hanes Art Gallery of Scales Fine Arts Center on Tuesday, March 27, 2018. A reception will follow. This event is free and open to the campus community and the wider public. 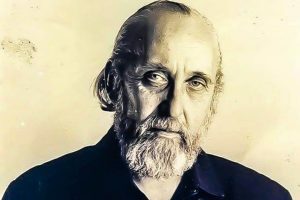 Jerome Rothenberg is an internationally celebrated poet, translator, anthologist, and performer with over ninety books of poetry and twelve assemblages of traditional and avant-garde poetry such asTechnicians of the Sacred, Shaking the Pumpkin (traditional American Indian poetry), Exiled in the Word (a.k.a. A Big Jewish Book), and, with Pierre Joris and Jeffrey Robinson, Poems for the Millennium, volumes 1-3. 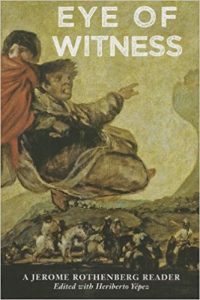 His most recent big books are Eye of Witness: A Jerome Rothenberg Reader (2013) and Barbaric Vast & Wild: Outside & Subterranean Poetry from Origins to Preset (volume 5 of Poems for the Millennium, 2015). 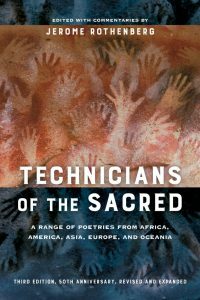 A significantly expanded fiftieth anniversary edition of Technicians of the Sacred has just been published by the University of California Press, and a new book of poems, A Field on Mars: Poems 2000-2015, was published last year in separate English and French editions.